Beautiful You: The Liebster Award | I Was Nominated! 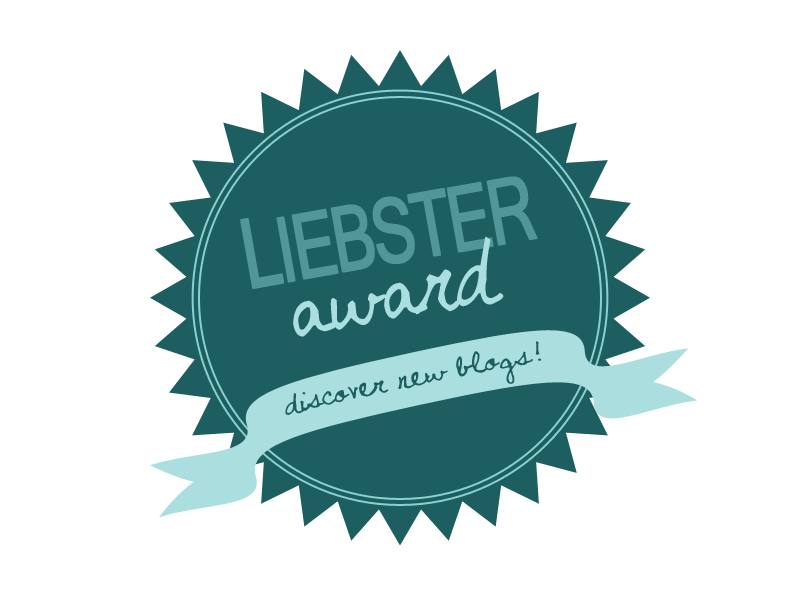 The Liebster Award | I Was Nominated! This post is actually really exciting for me as I didn't even know this existed but obviously now I do and I am so excited. This post is about the Liebster Award, this is an award for bloggers who have less than 200 followers can get nominated by other bloggers who have less than 200 followers! The lovely Molly nominated me, I shall link her blog here, you should all go and show her some love by following her blog and tell her I sent you! 7. I am going to NYC this year and I am so excited!! 11. I have an older sister and she is my biggest inspiration! 1. What advice would you give to new bloggers? You have to stick with it, no matter what! I used to find it really hard to write so much content and not know that people were reading it but then you gradually build up a community and you branch out to different people. My blog still isn't big but its the odd comments here and there that are really nice and the amazing people I have started talking to because I have my blog that make it all worth while! My number one top tip would be to just blog about what you love and don't even give a thought about what others think, your blog is YOURS for a reason! 2. What posts get you the most page views? To be honest I don't have a specific type of post that gets the most views, they are all kind of even really! Yeah everyone says page views don't matter to them but they do and if I get over 50 on every post I am happy and recently that has been happening so I am a happy blogger! 3. What are your favourite make-up products and why? This is such a hard question, I think I might have to say my Naked 3 Palette because it is so versatile and you can literally create so many different looks with it! I have always been a fan of the Naked Palettes right from the start and this definitely has to be my favourite although the Naked 2 is amazing as well! 4. Who is / are your inspirations? My sister is a massive inspiration to me because she has always been there for me through everything. My family has been through a lot in the past and everyone always called me, my mum and my sister the three musketeers because we always stick together no matter what! Gracie, from UglyFaceofBeauty is also a massive inspiration to me because again she has been through so much in her life yet she is still always so smiley and happy and that really hard to do. I just love her soooo much! 5. What is your favourite social media site and why? I think I would have to say Instagram, I will link mine here, because I love photography and I cannot take enough pictures. I love the fact that it is your own personal area to express yourself and it is also a great way to remember all the good times you have had. I love coming across new Instagrams and looking at everyone's cute pictures, I spend hours on there! If you want me to check yours out, leave me a comment below with your names! 6. What are your favourite hair products? I have been loving V05 at the moment and there are three products in particular. They are their Nourish My Shine Miracle Mist; I spray this on the ends of my hair at night before I brush through it with my wet brush and it just leaves my hair so soft and it smells amazing! Next has to be my V05 Give Me Moisture Treatment Mask which I use on the ends of my hair twice a week, Wednesday and Sunday, I have to be careful when it comes to hair products because I have really sensitive scalp but this is an amazing product that just adds make the moisture and softness needed when you have long hair! Lastly, but no means least is V05 Miracle Concentrate, I have used this for sooooo long, it is a little bottle of an elixir with argon oil and you put a few drops on your hand, warm it up and bit and then finger through your hair, it gives you hair so much shine. I couldn't recommend these products any more! 7. What is your favourite clothing store? This is really hard! I love the clothes in Topshop, come on who doesn't? But being slightly chubby you have to be careful what you wear and they don't always suit me! I do love love love Forever 21, you can always find a good bargain there! 8. What is / was your favourite subject at school? I think this would either have to be Art or Maths, I know they are at the complete other end of the scale from each other but I loved them both so much. That's probably why I did best in them but I would always look forward to each lesson, thinking about this now makes me really miss school and realise how much harder uni is! 9. Who are your favourite YouTubers and bloggers and why? - Tanya Burr, because she has been a huge inspiration of mine since I can remember, she is so beautiful and she has an amazing personality! The fame she has got from what she does hasn't changed her at all either, she is just as lovely now as she was when she started. Also she is insanely lovely when I met her, it was the best day ever! - Zoella, if you haven't seen my post I did an OOTD inspired by Zoe. I cannot put it into words how much I love her, in my head we are sisters and we are so similar it is unreal (besides my size but we shall skip that!). Her fashion sense is amazing and if I had the figure to pull off the outfits she wears I totally would. And she loves orange, just adds to my reasons to love her! - Sprinkle of Glitter, I feel like I can relate to her a lot especially at the moment with her 'GlitterGetsFitter' I know I'm not 'huge' but I do struggle with my weight sometimes and she just makes me see that everyone is beautiful no matter what they look like and she is inspiring how she does everything against stereotypes! Plus she doesn't really like giving hugs and people in her personal space and she told me I give good hugs at Summer in the City! - UglyFaceofBeauty, I don't even know where to start with Gracie, I feel like we are best friends; well in my head we are! She does everything with so much class and grace and she always hold her head high no matter what life throws and her and she inspires me sooo much! LOVE HER! - Becky (Angels Secrets), my blog wouldn't be what it is today with out this little GEM. She has helped me out so so so much and I cannot thank her enough, you all need to go and follow her so I can show her how thankful I am! - Helen (thelovecatsinc), her posts are so good and I have bought many things of her recommedations which is really bad but come on you'd have to be really strong not to! - Victoria (inthefrow), I have total hair envy and she is just amazing. End of! I do like your blog, I'd never come across it until now but that is the beauty of these things I guess! The only advice that I will give you because who am I to tell you but the background, which the font of the text and the size is a little over powering at times but who am I? 11. What posts would you like to see on my blog in the future and why? More makeup looks or posts on skincare, I can't really comment because I haven't read your blog before but I will take a look after! 1. What inspired you to start blogging in the beginning? 3. What's the best thing that has happened to you since starting blogging? 4. Would you encourage other people to start blogging? If so, why? 6. What would you rather give up, make up or skin care? 8. If you could have £200 to spend on makeup, what would you buy? 11. Do you like my blog? If yes, thank you! But if not what can I do to improve? I hope you enjoyed this post and thank you to Molly for tagging me in it! My giveaway is still running so I will link the post here for you all to go over and enter! If you check out any of the blog I tagged, leave a comment on their post telling them I sent you and leave a comment below telling me who you would nominate! I love checking out new blogs! I went by their BlogLovin followers as it was easier. Sorry if this offends anyone! Also I did this a week ago so sorry if they have changed since! Thanks so much for nominating me! I actually did this award last year and am massively blocked up with posts ATM but here is my post from then ( http://katydesu.blogspot.co.uk/2013/03/liebster-award.html?m=1 ) and here are the answers to your questions! 2. Just over a year now, I can't believe it! My blog has changed a lot in that time. 4. Definitely if you're dedicated and resourceful - I find it very rewarding but difficult! 5. Tricky one, probably urban decay, rimmel, max factor, collection and maybelline. 6. Give up skincare, can't live without the eyeliner! 7. Really not into nail varnish, Barry m? 8. A full mac pallette! A few mac and ysl lipsticks and nars sheer glow. That's probably £200. 11. I love your header. It's really unique. The layout is great and you have some great posts. Only thing is just my pedantic nature - I like posts on regular days! But that's tricky, you're doing a great job.